Why does diesel remain more toxic than gasoline? Does diesel really emit less greenhouse gases? 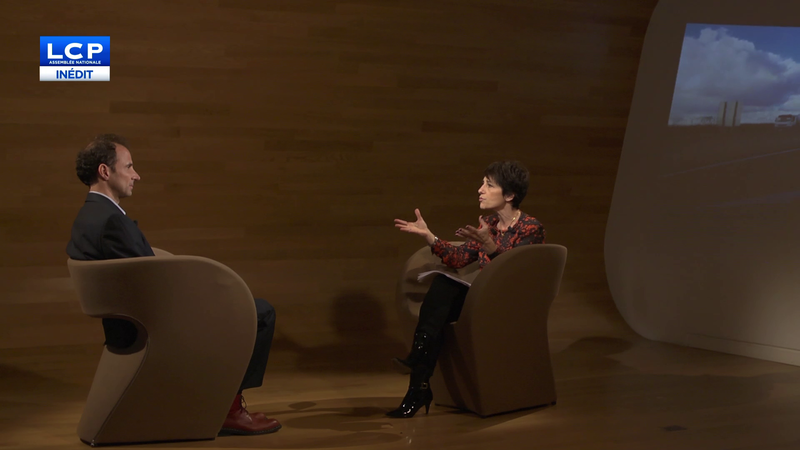 All the light on diesel with Dr Thomas Bourdrel from “Strasbourg Respire”. 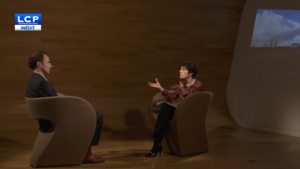 The above video (14min) is excerpted from the TV show État de Santé on LCP (Parliamentary Channel), devoted to air pollution and diesel, broadcasted at the end of November and in December 2017: full broadcast (26min) on their website. Do those who demonize this fuel today have reasons, good reasons, to do so? J: You’re a radiologist, we’re going to check out your biography. I’ll see you in a minute. 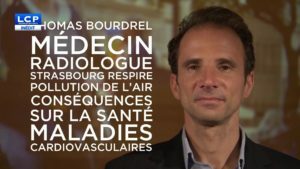 Voice-over: Thomas Bourdrel is a radiologist in Strasbourg. In 2014 he founded the “Strasbourg Respire” collective (strasbourgrespire. fr). The mission, to tackle misconceptions about air pollution and make it clear that its health consequences are not limited to asthma or allergies. According to WHO (World Health Organisation), three-quarters of pollution-related deaths are from cardiovascular disease. J: Thank you again for being with us, Thomas Bourdrel. So, you have been a radiologist in Strasbourg for about ten years. Why are you particularly interested in the harm caused by diesel fuel? D: I first became interested in air pollution consequences when I began to see a marked increase in lung cancer among non-smokers in the city. And this was confirmed by a study carried out in Strasbourg which showed that air pollution was responsible for about 10% of lung cancers. J: What are we talking about when we talk about air pollution? Although today we will be talking about diesel fuel, air pollution is a lot bigger than that. There are a lot of elements. D: A distinction must be made between fine particles, especially diesel particles, and gases. What currently poses the greatest public health problems are fine particles, and in gases, nitrogen oxides. J: The air pollution we are exposed to in the city comes from industries, from heating too, and probably most of it comes from, can you confirm this, from fuel? For air pollution in cities. D: Absolutely, yes. In fact, there are variations in terms of sources. In the city, traffic will represent up to 50% of fine particles and up to 60% of nitrogen oxides. If you go to the Arve Valley, woodstove emisisons in winter will become one of the major sources. So it’s going to depend on the season and the distinction between city and country. What is certain is that diesel fuel remains a constant source of fine particles and nitrogen oxides, especially in cities. J: So what are we talking about, if you don’t mind, when we talk about diesel? Take a look at this short technical report. Voice-over: When you put diesel fuel in a car, the diesel is then mixed with air. This compressed and heated mixture pushes back the piston, the engine turns over, and exhaust fumes come out of the car. These exhaust gases contain carbon dioxide and oxides of nitrogen (NOx). They are greenhouse gases, responsible for global warming. Gases whose emissions have been misrepresented by car manufacturers. But that’s not all: in addition to gases, ultrafine particles also come out of the exhaust pipe, these particles carry polycyclic aromatic hydrocarbons (PAH) on their surface. Their toxic effects on human health have been proven. 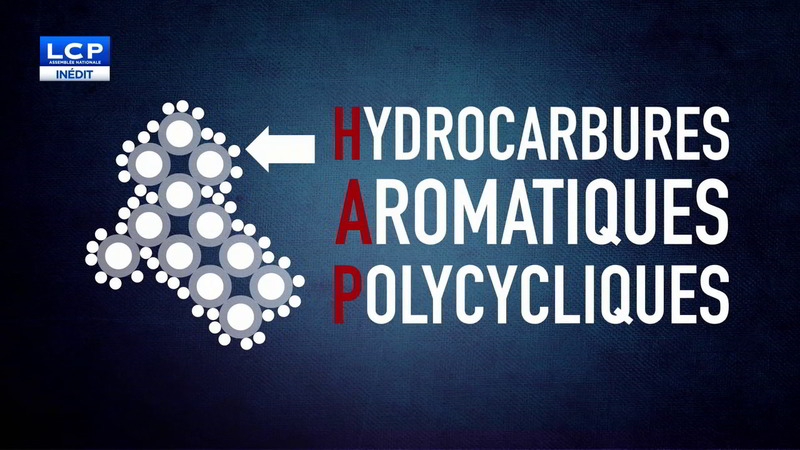 Most PAHs are known carcinogens responsible for pulmonary and cardiovascular pathologies. D: So you have to know that particle pollution has changed. In the past, and what is still being measured, we used to measure the biggest particles, called PM 10. These are the larger particles. Then there is PM 2.5 which are the fine particles and then there are the ones below that are the ultrafine. J: Are ultrafines the most dangerous? D: They are the most dangerous, because they will penetrate deep into the body. D: 90% are ultrafine particles. J: And they can also, if I am not mistaken, generate or at least contribute to the emergence of diseases such as Alzheimer’s and Parkinson’s? D: Absolutely. They’ll pass through all organs, including the brain. Either by the blood system, but also directly by what is called the sifted blade, i. e. when you breathe there is a communication via this cribriform plate that makes them communicate directly in your brain and it is at the origin of diseases, what is called neurodegenerative, it is well proven. The most worrying thing is that these ultrafine particles, and this has been demonstrated by the INSERM, they cross the placenta, and they pass through the fetus’s circulation. These particles impede the arterial circulation of the fetus so the children are less fed, and have lower birth weight. J: Would you say that this is the most toxic pollutant to which our body is subjected in the city today? D: Currently ultrafine particles, yes, that is the most toxic. D: No, it’s found in the liver as well, in all organs, and it’s really a public health issue and there’s a big shift in consciousness, because … it used to be that pneumologists were the main cause of pollution alerts because the larger particles mainly caused respiratory illnesses. But now that all organs are affected, all health specialists really need to be alerted and especially the cardiologists. J: So Thomas Bourdrel, do you have any scientific certainty about the harm caused by diesel? What evidence do you have for us? D: We doctors, when we look at the studies, there are a lot of scientific articles published. There have been more than a hundred of them for at least thirty years now and they all demonstrate the health effects of air pollution, particularly diesel fuel. There is a great deal of North American research that has been published in the largest international journals that has shown how diesel particles cause very significant heart damage . J: So there are three different rats there. D: The first column here on the left is for rats that are exposed to particulate free filtered air for six months and the column here is for the same rats, but they are exposed for six months to air loaded with diesel particles. Now, if we leave them for another six months, the artery is clogged. If it’s the artery that goes to the heart, it gives you a heart attack, if it’s the artery that goes to the brain, it gives you a stroke. J: So we are told that there is diesel and diesel, Thomas Bourdrel, that there are old diesel engines and so called “clean diesel engines”. Maybe it might startle you, but that’s how they sell it to us. Is there a difference between old diesel engines and those that have more developed filtering capabilities? D: So of course old diesel engines are the most harmful, there’s no doubt about that, and the problem is that a large part of the fleet right now is made up of these old diesels. D: There you go, but to say that clean diesel exists is completely false. J: For you it’s confusion, even disinformation? D: It’s a lie, I would say. D: Yes! They say that filters will filter 99% of the particles, first, it is done in laboratory conditions. If you want to measure on a diesel engine that will accelerate, on an engine in town for example, even manufacturers tell you that a diesel is not designed to run in town. J: So what they say is that diesel vehicles, logging a lot of kilometres a year, pollute much less than diesel vehicles in the city, which are ultimately toxic. D: Well, that’s why I’m really here to say, there’s a specific problem with diesel, but in town. If we kept diesel engines for long trips, it wouldn’t be much of a problem. So it’s wrong to say that recent diesel engines don’t pollute, why? Because what comes out is ultrafine particles, even if there’s less, it still comes out and we’ve seen that these ultrafine particles, they touch all the organs, they are the most harmful. Why are they harmful? 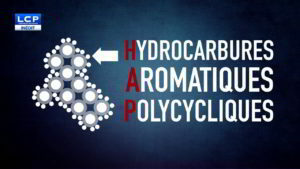 Because their surface contains what is called polycyclic aromatic hydrocarbons (PAHs) and above all, what the manufacturers don’t tell you is that these hydrocarbons, they come out in the form of gases for which filters have no effect. And a few meters past the exhaust pipe, they will be able to condense back into particles, especially if the temperature is cold, in winter. So we are going to see a new formation of particles that is not accounted for by the manufacturers, because it is formed after the outlet of the exhaust pipe. That is the first problem, the particles, the second problem is nitrogen gases and nitrogen oxides. J: So that’s the dieselgate file. 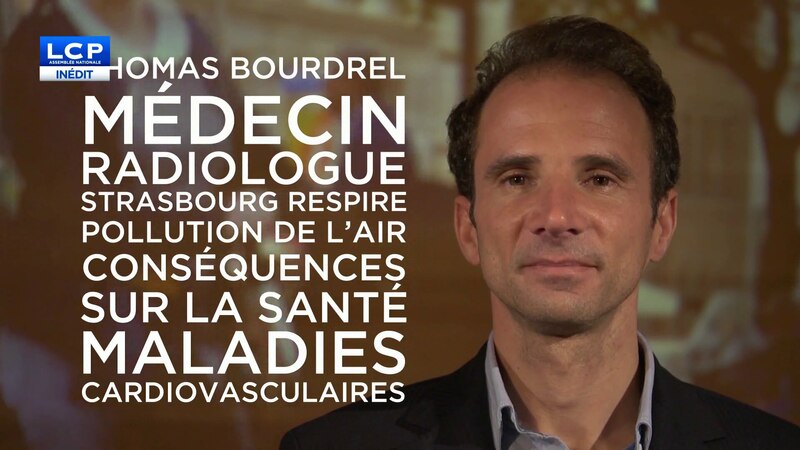 We’ve talked a lot about very technical issues, Thomas Bourdrel, you as a radiologist who perceives, who measures all the damage that is done by pollution and fuel, how do you feel about this? Does it make you angry? Are you disgusted? What was your state of mind? D: I was angry at first. Above all, to see patients keep coming back, to discover lung cancer in non-smokers, to discover a bit how politicians were denying it, and the gap between the many scientific studies that demonstrated the public health urgency and at the same time a real lack of awareness of the public authorities. J: Politicians denying it. So we have to stop there, because there is still something incomprehensible, Doctor, it is that the public authorities, for years now, through a bonus and penalty system, have been really encouraging motorists to buy diesel cars. There are thousands of euros when buying a petrol and diesel car. We push motorists, we push them into the arms of diesel… It must drive you crazy? This is completely inconsistent. D: And not only me, and what is crazy is to see that in the 80’s only 8% of the fleet was diesel. That the CNRS made a report in the nineties saying that diesel should not be encouraged, that there was already too much evidence that diesel fuel was carcinogenic, that this report was never used and that in 1995 we implemented all these pro-diesel taxes and that now we have a fleet of almost 70% diesel! J: So, there is an explanation, it’s CO2, it’s because we only considered the harmful effects of CO2 and not the famous fine particles, so we have to say that. D: CO2 is not toxic to humans, but it is a greenhouse gas. J: It’s greenhouse gas, and that’s all we used for the bonus and penalty system. D: And above all, the NGO “Transport & environment”, which currently serves as a reference, has just demonstrated that even this was no longer a valid argument. That a gasoline engine, over several years, will emit as much CO2 as a diesel engine, if not more. On top of that, a diesel engine emits six times more NOx than a petrol engine and NOx, these nitrogen oxides, are precursors of ozone, which is also a greenhouse gas. So it is very likely that in terms of global warming, the diesel argument is also not acceptable. J: But even today, unless I am mistaken, the public authorities still favour diesel? D: Yes, I think that now there is a kind of conscience, there is also a lot of lobbying that causes misinformation. Many articles say that gasoline emits NOx and fine particles, but a gasoline engine emits four to six times less NOx than a diesel engine, and even more importantly, even if current gasoline engines emit fine particles, the composition of these fine particles is not the same as a diesel particle, and it’s important for people to understand that. A diesel particle remains more toxic in terms of composition than a petrol particle. J: Thomas Bourdrel, things are moving forward, there are mayors taking action, it’s happening in Paris, it happened in Strasbourg. There is a growing awareness that diesel, especially old diesel engines, must be banned as soon as possible. And even the government, which announced in 2040 the end of combustion engines in France. D: Yes, it’s moving forward, but needs to be a distinction. For the moment, we’re putting diesel and gasoline on the same level, but it’s not the same degree of urgency. In five years we could already phase out the older diesel engines that really cause most of the air pollution, it was done in Japan, in some big cities, in Tokyo. J: With what kind of policies? Subsidies to buy electric vehicles for example? D: On the other hand, the subsidies were much higher. Subsidies are currently insufficient. J: The state has no money, doctor. D: Yes, but in any case, in Tokyo they succeeded. In Tokyo in the space of a few years they managed to to make diesel less than 0.3% of the fleet. The results are amazing, they were published in the Epidemiology journal. In 10 years, fine particles in Tokyo have dropped by 44%. Respiratory mortality decreased by 22%. And heart disease mortality by 12%. No current practice would be able to reduce cardiorespiratory mortality in ten years like this, we have nothing that could do that! J: Do you think that one day patients will turn against the state to denounce the inertia of public authorities in reacting to these dangers? D: It’s allready happening. There’s legal action in progress. But I think it’s going to take several cases. What makes things happen the fastest is what happens in some cities, particularly in Germany, where people lodge a complaint against the city. J: You think cities will move faster than States? D: Yes, and what amazes me and what nobody talks about is that in the same city you have inequalities, depending on where you live. If you live near a major thoroughfare on the Paris ring road, you’ll probably breathe air that is three times more polluted than someone who lives next to the Luxembourg garden, and that is unacceptable. J: Thank you very much, Thomas Bourdrel for being with us. Thank you for joining us for this issue of “État de santé” (Health Status), see you soon, goodbye.